2014 November Niner William Pappaconstantinou (a.k.a. Billy Pappas) is used to winning….just not in poker. The 29-year-old is best known for his impressive foosball credentials, which include five US championships. Pappas has done so well, in fact, that many consider him one of the greatest foosball players of all time. Although he’s admittedly a recreational player, Pappas, who’s the son of pro golfer Bill Pappas, does have a poker background. He worked as a dealer in Salem, New Hampshire’s Rockingham Park poker room. Furthermore, he started playing live tournaments around the Massachusetts area in 2010. 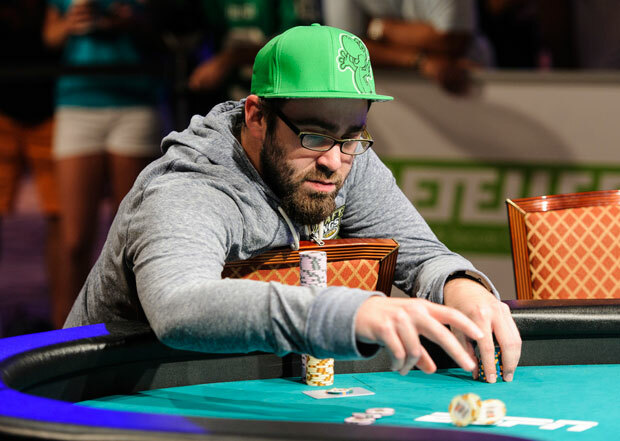 For an amateur grinder, Pappas’ 20 career cashes are a nice accomplishment. Included in this list is a fifth-place finish in a WSOP Circuit West Palm Beach NLHE event ($52,372). While foosball and poker both may require a tough mentality, Pappas is quick to point out that there’s far more money involved in the latter. The most that he’s ever won in a foosball tournament is $8,000. But even if he busts out first in the 2014 Main Event, he’s at least guaranteed a $730,725 prize. Assuming Pappas can win, he’s due for a $10 million payday. So can Pappas overcome the skill disadvantage that he’s facing when the November Nine meet at the Rio on Nov. 10th? Currently ranked sixth with 17.5 million chips, he’s not out of the picture. But Pappas is definitely going to have to channel some of that championship experience from foosball to move up the chip count.